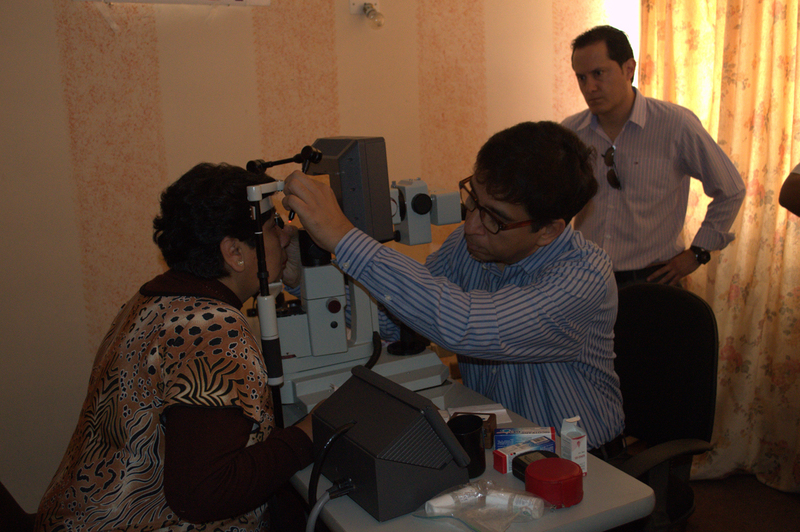 This visit was supported by a grant from Alcon Foundation. 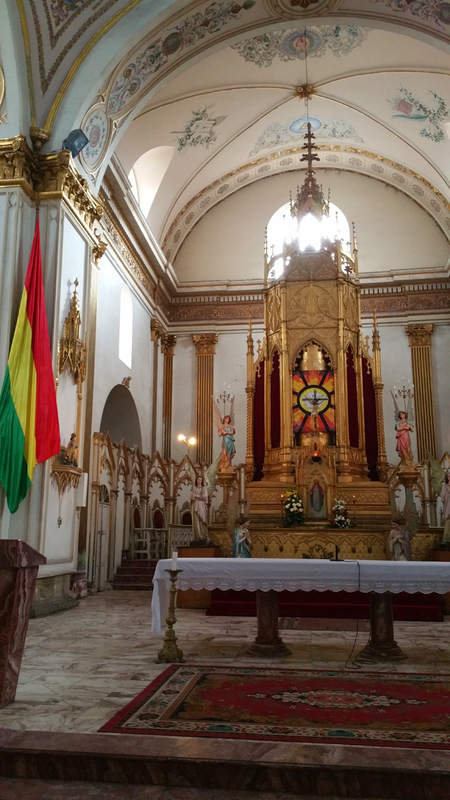 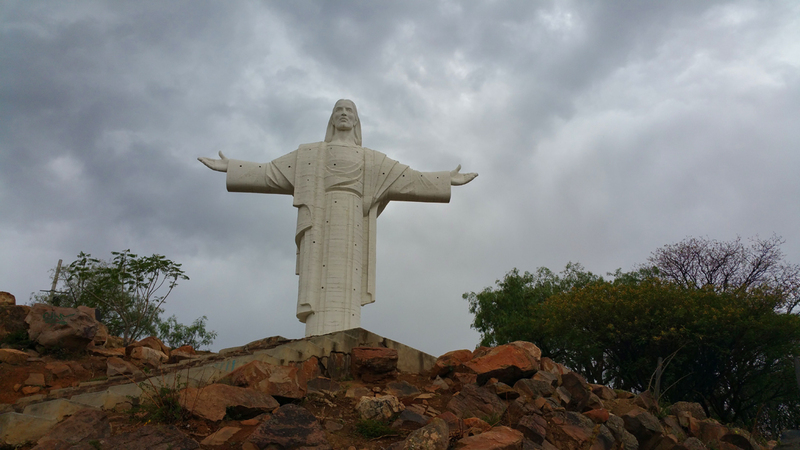 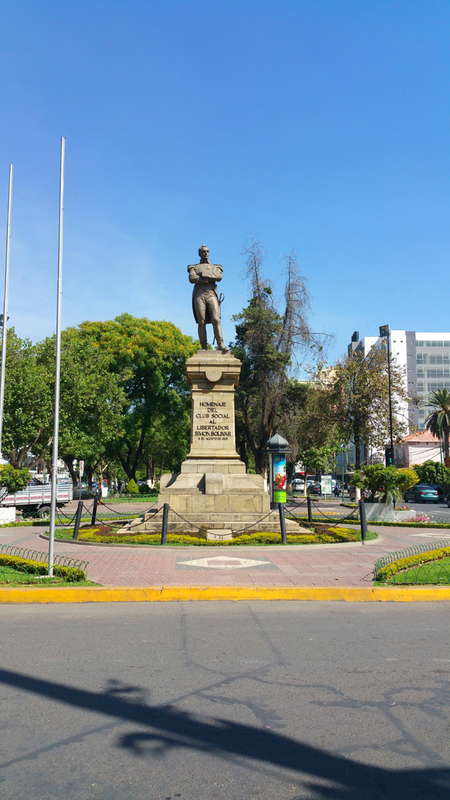 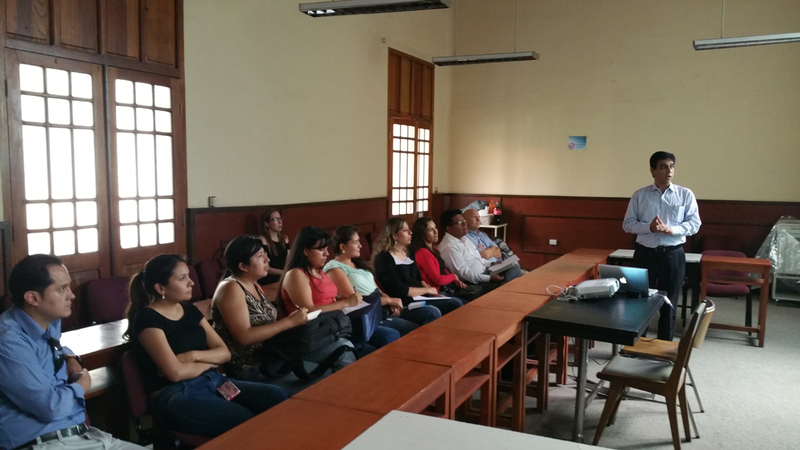 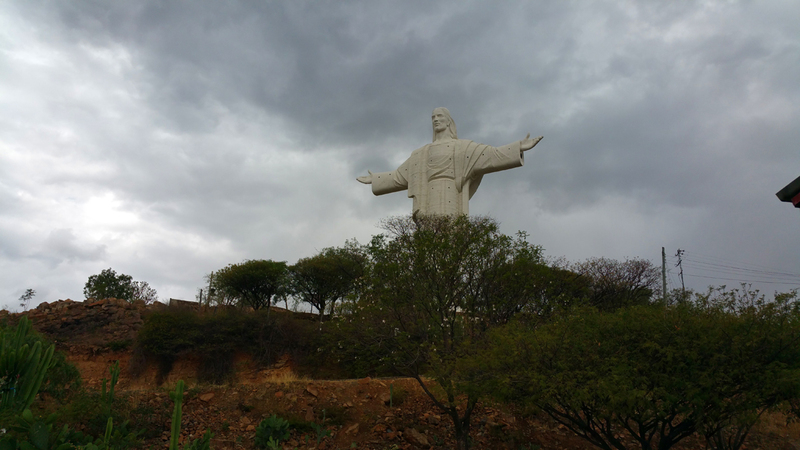 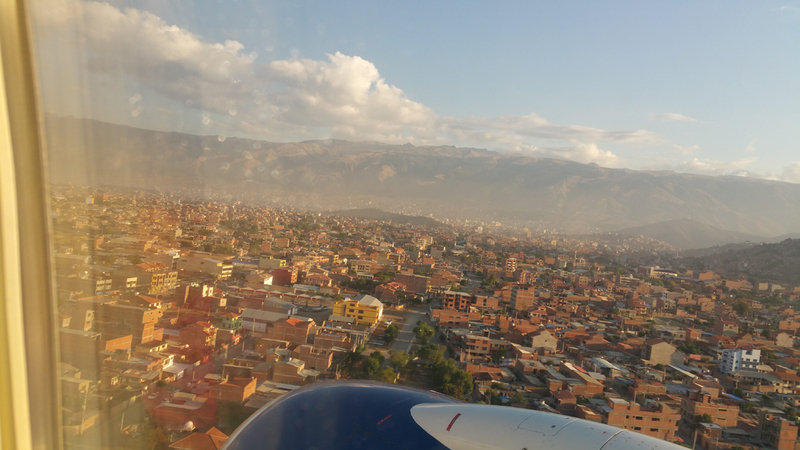 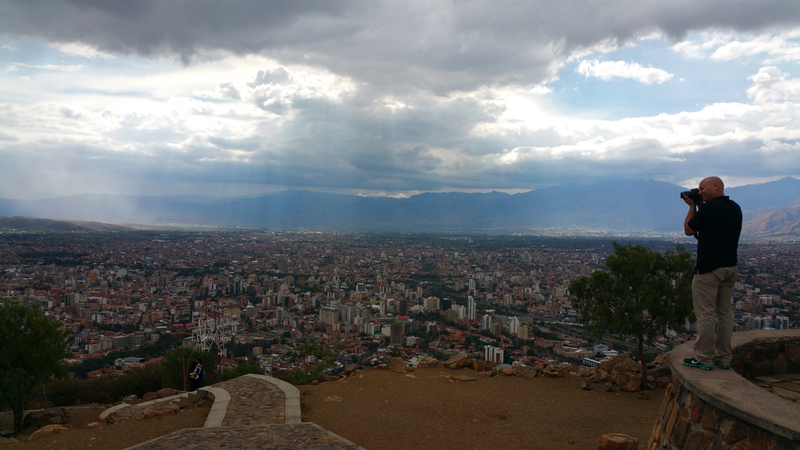 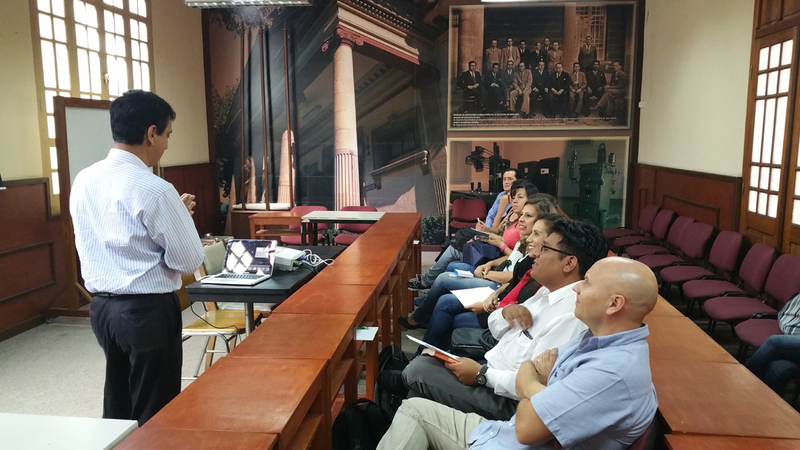 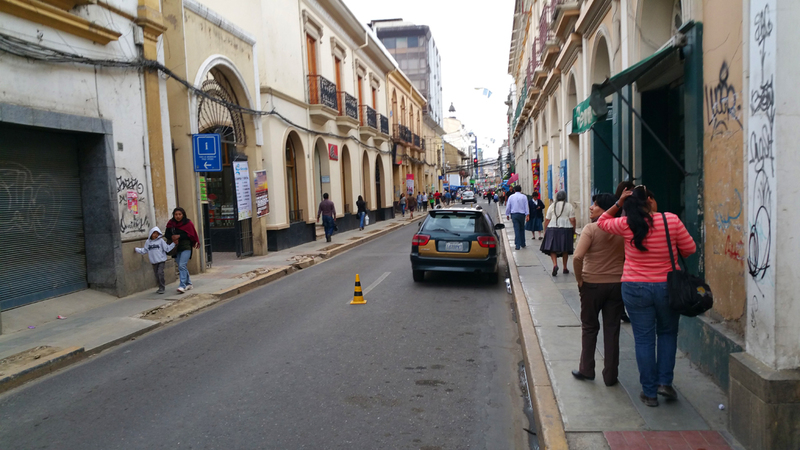 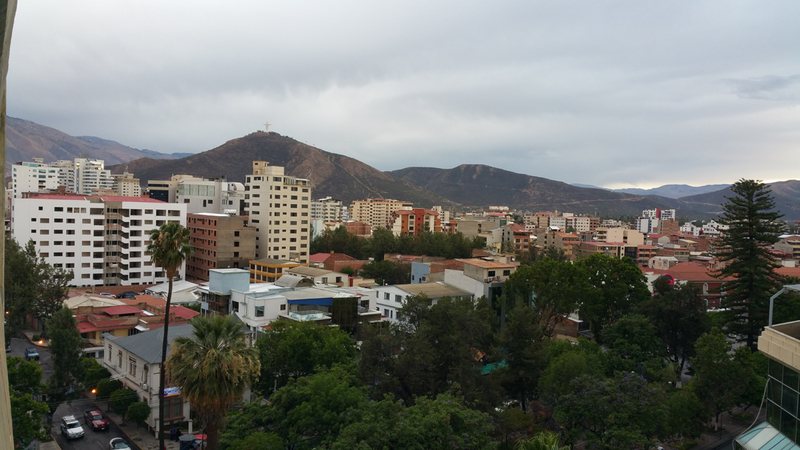 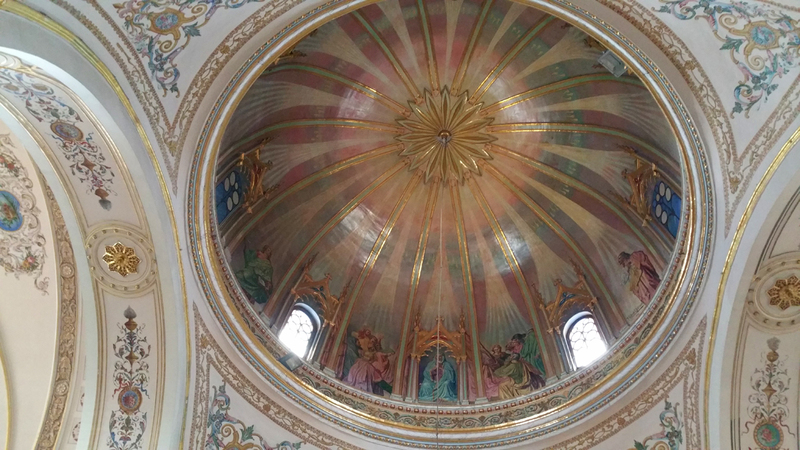 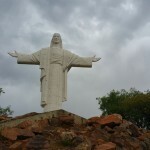 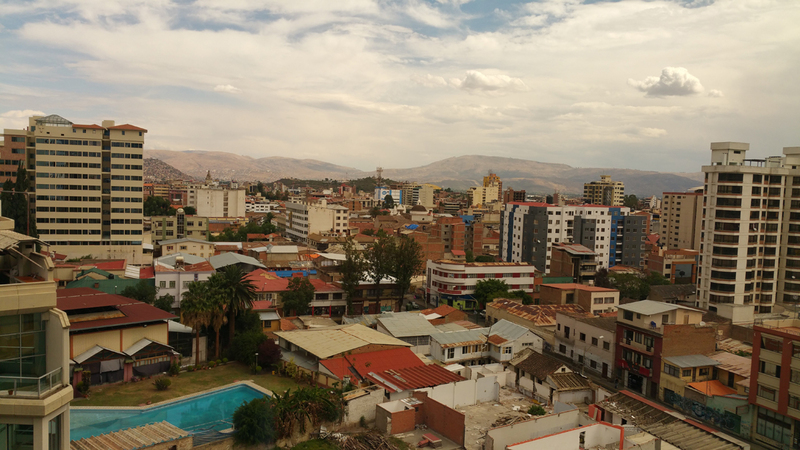 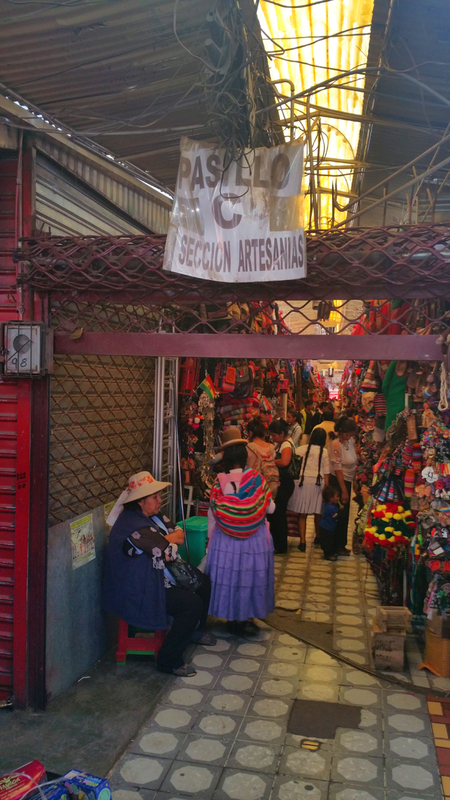 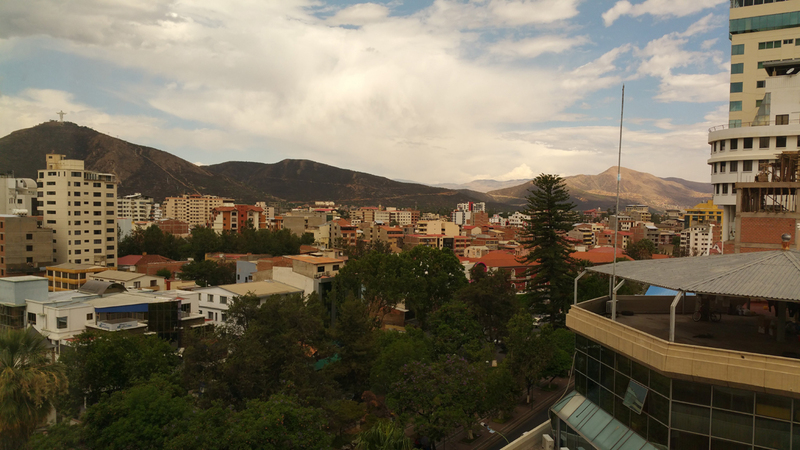 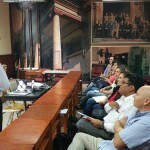 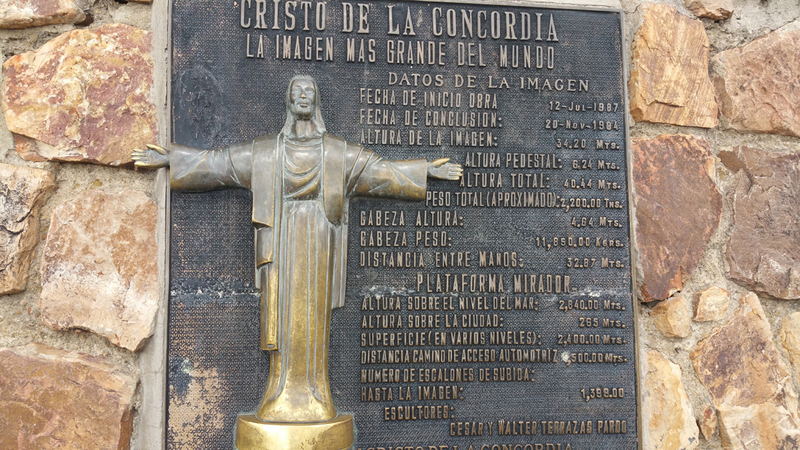 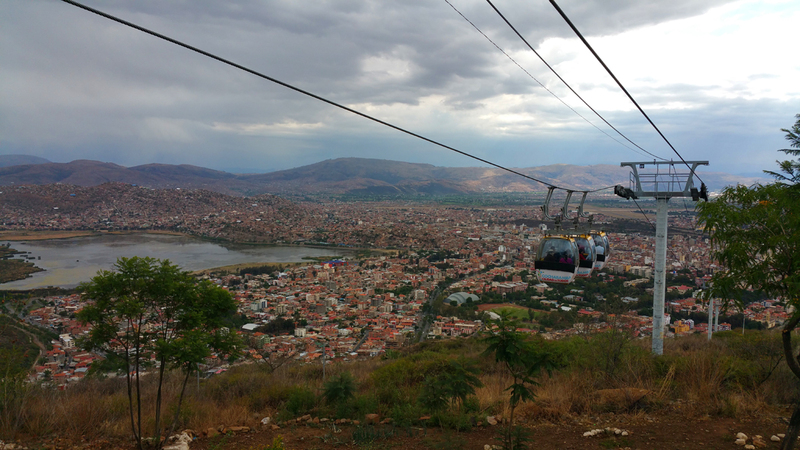 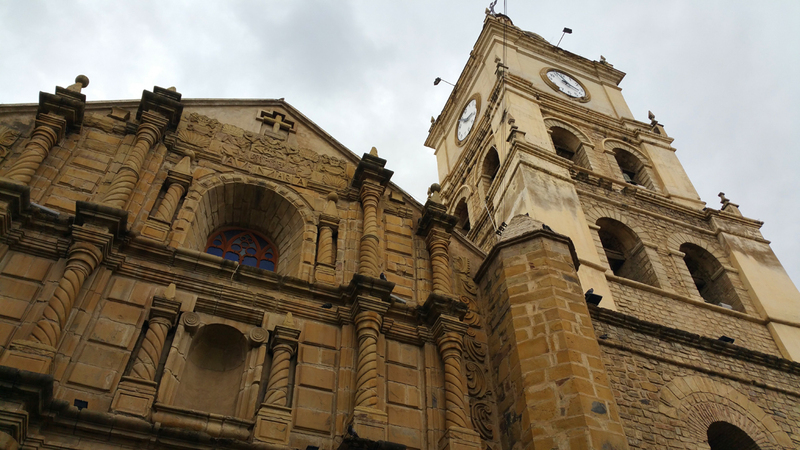 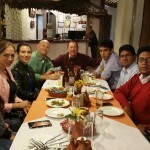 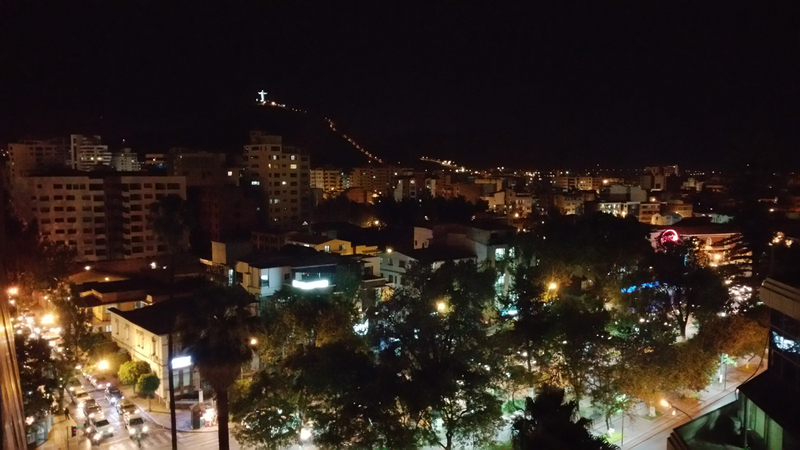 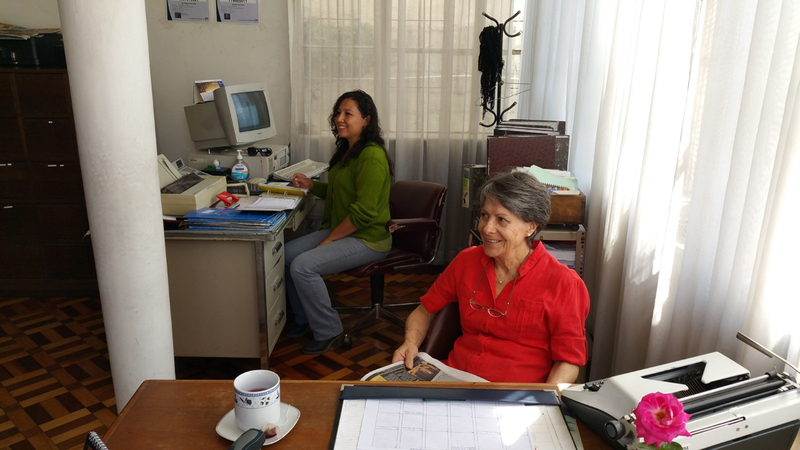 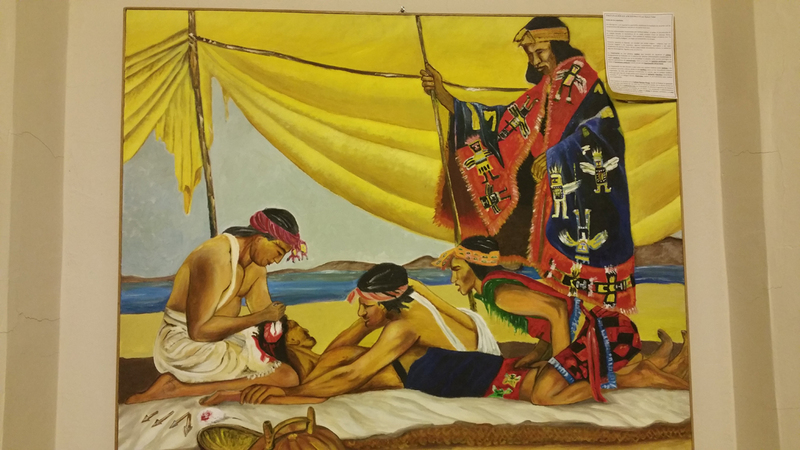 As part of our outreach into South America, we visited Cochabamba in Bolivia the week of Oct 26, 2015. 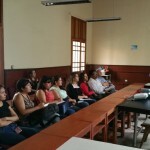 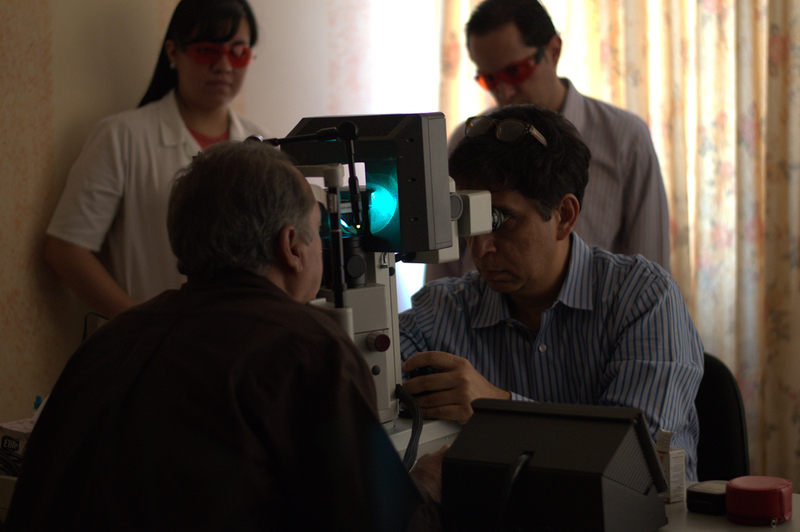 We are collaborating with the Fundación Boliviana de Oftalmología to help develop retinal services in the country. 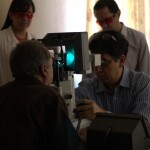 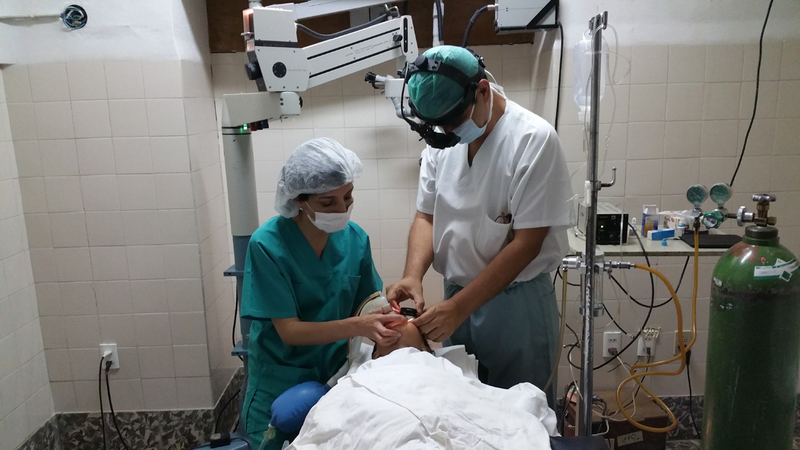 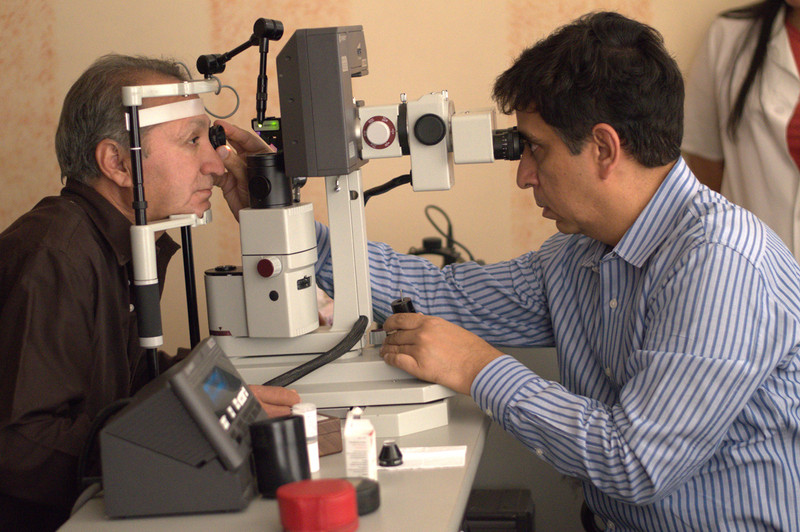 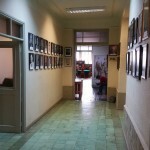 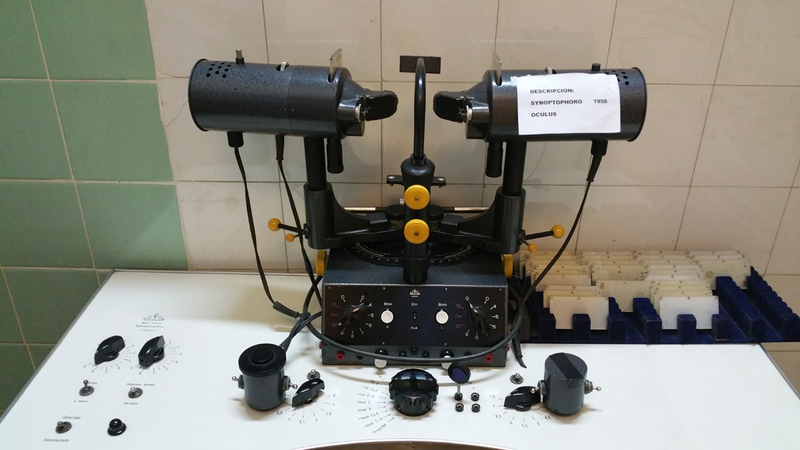 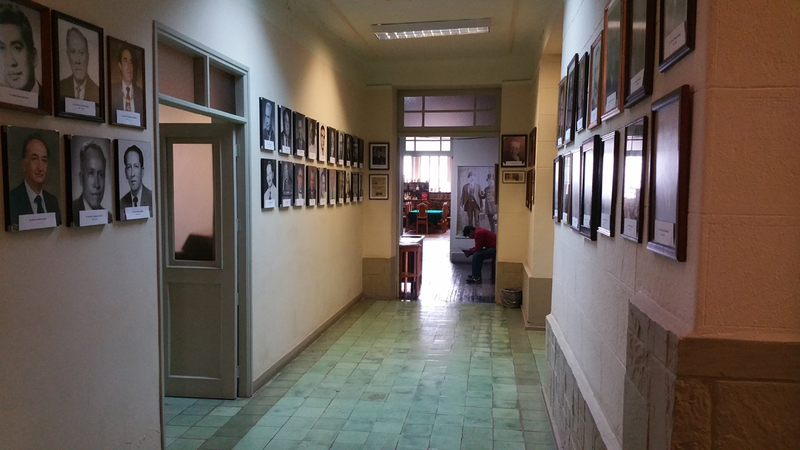 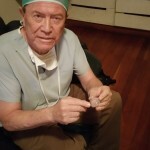 Dr Oscar Cortex and his son, Dr Rodrigo Cortes, manage this Fundacion, which has been providing ophthalmological care to the people of Cochabamba and the surrounding areas for many years. 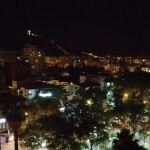 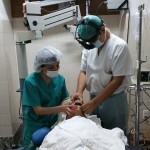 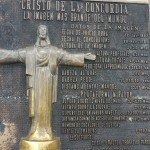 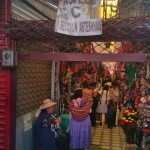 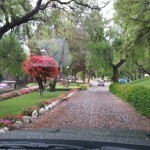 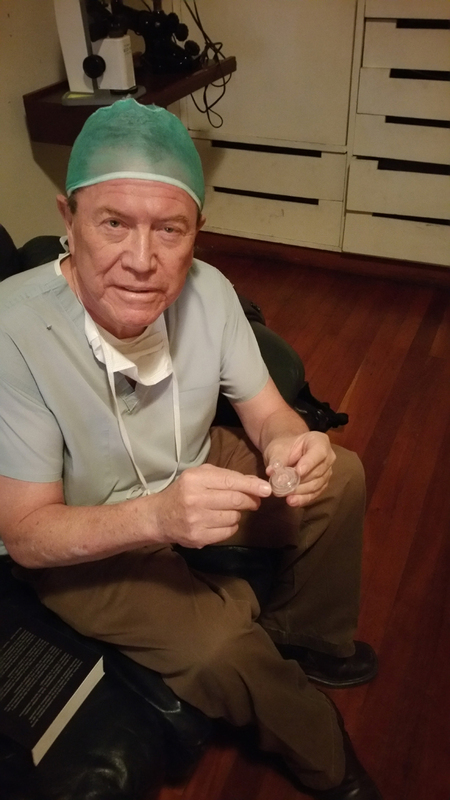 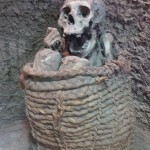 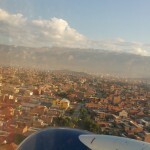 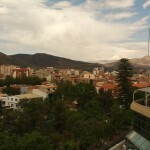 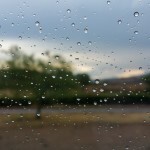 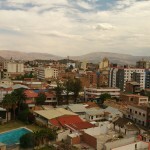 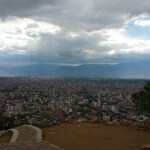 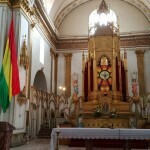 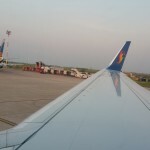 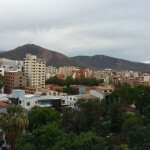 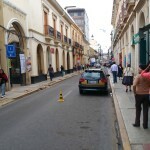 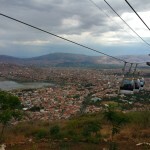 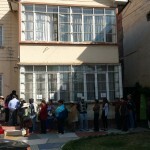 As this was the first trip to Cochabamba, we had not planned for any retinal surgical procedures. 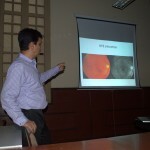 We were to examine patients, perform laser photocoagulations, and present a few didactic talks for the ophthalmologists and residents in training. 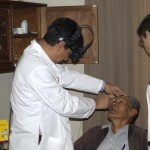 We examined patients over the four days we were there. 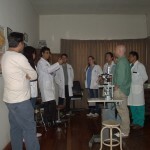 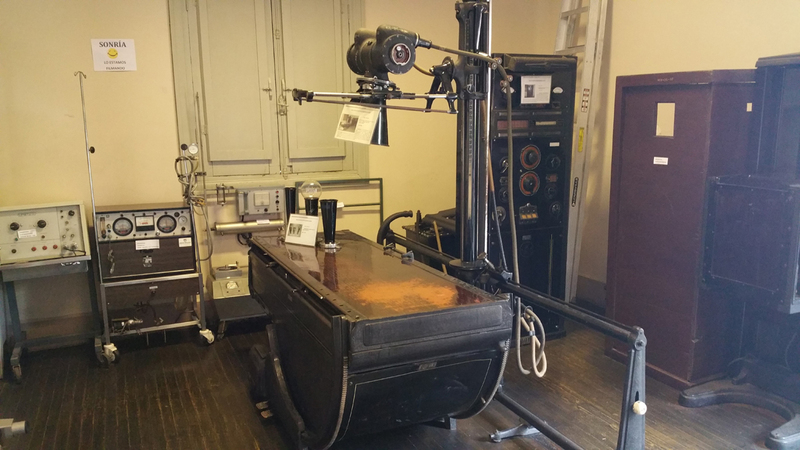 In addition, didactic lectures were presented over two days, while laser sessions were organized on two other days. 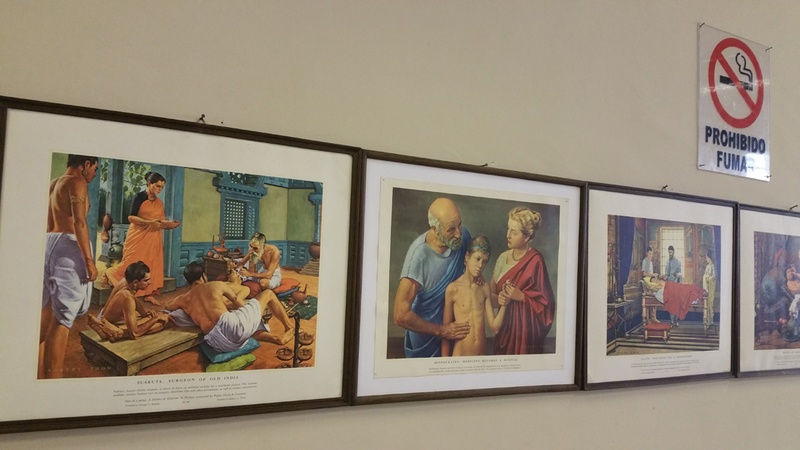 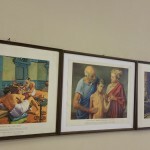 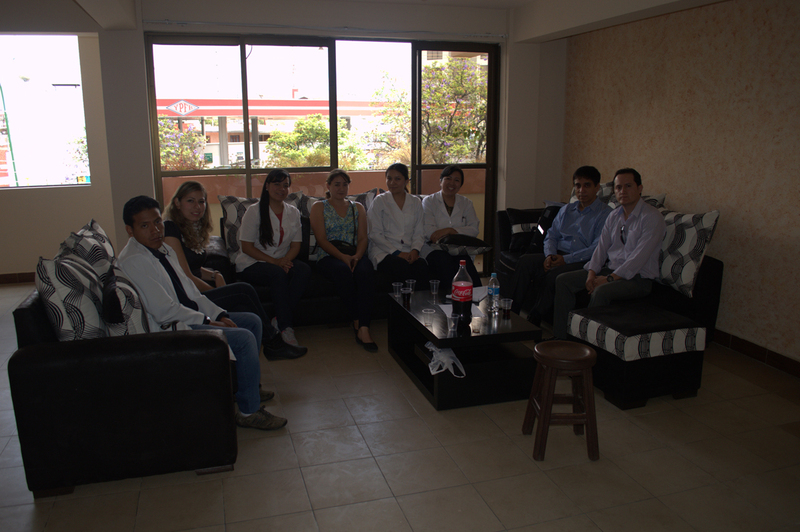 Interactions during patients examinations in the clinic added to the academic exchange. 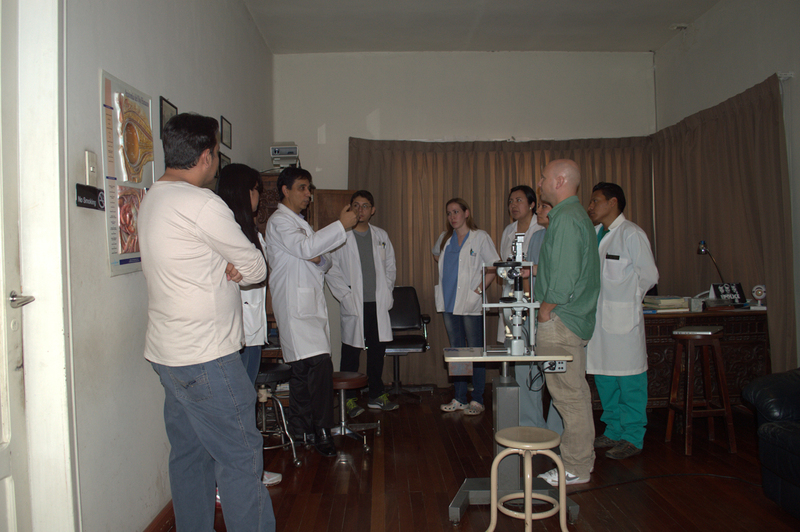 With a robust residency program that takes in two residents every year, the Fundacion has been providing excellent teaching to its residents over the years. 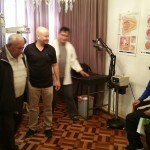 This was evident in the way the residents presented patients, as well as asked questions in the clinic and in the lectures. 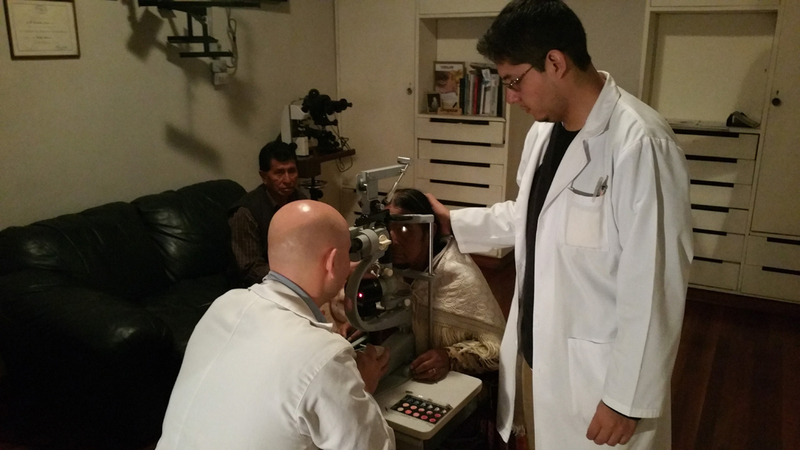 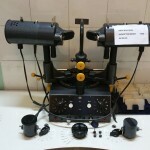 We have received instrument support from Ocular Instruments for this trip and for our future trips. 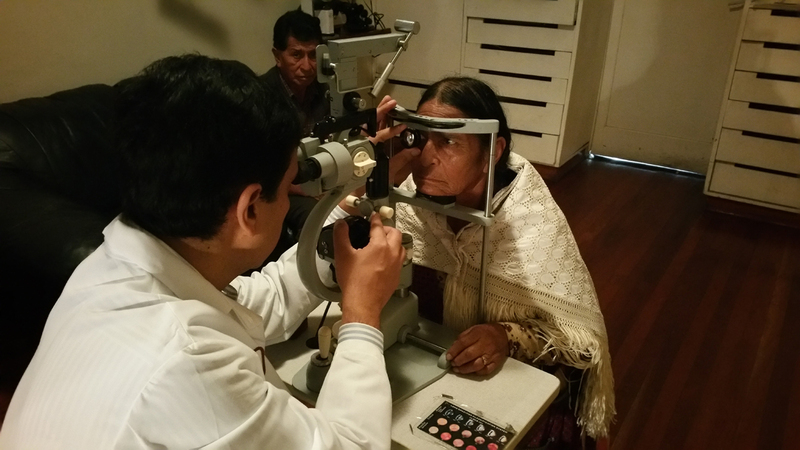 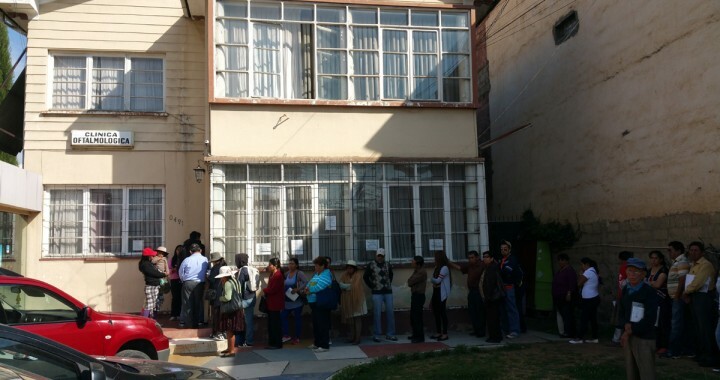 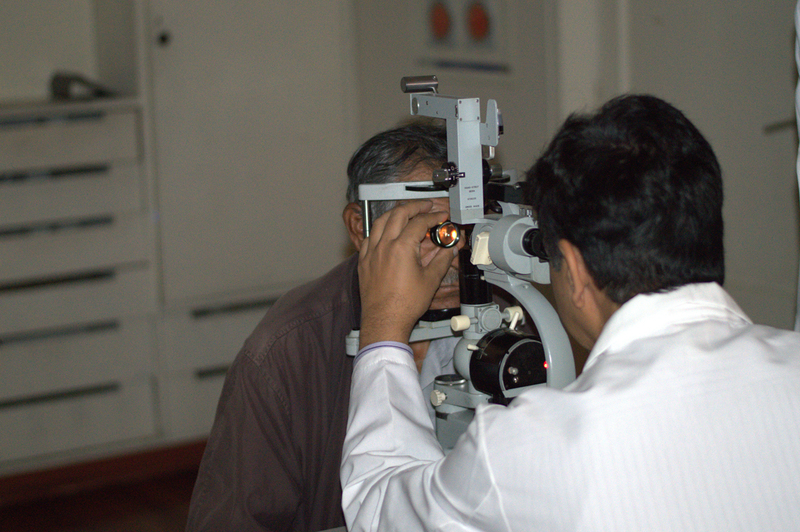 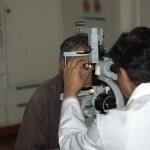 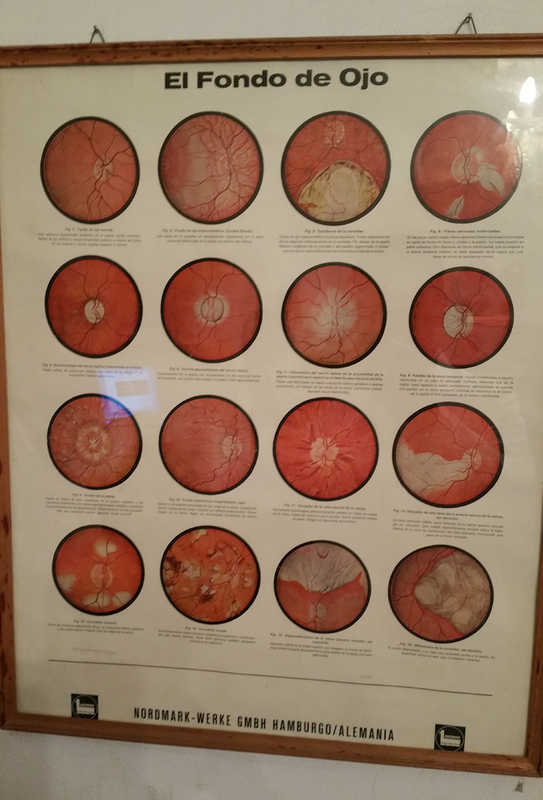 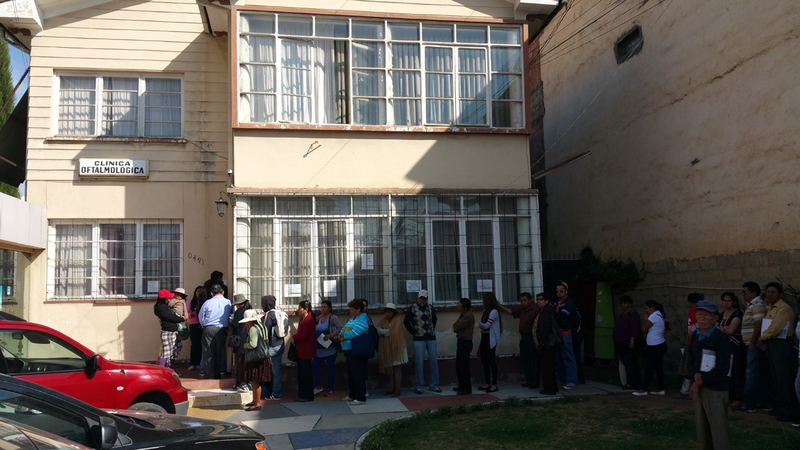 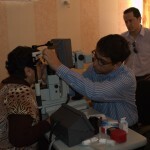 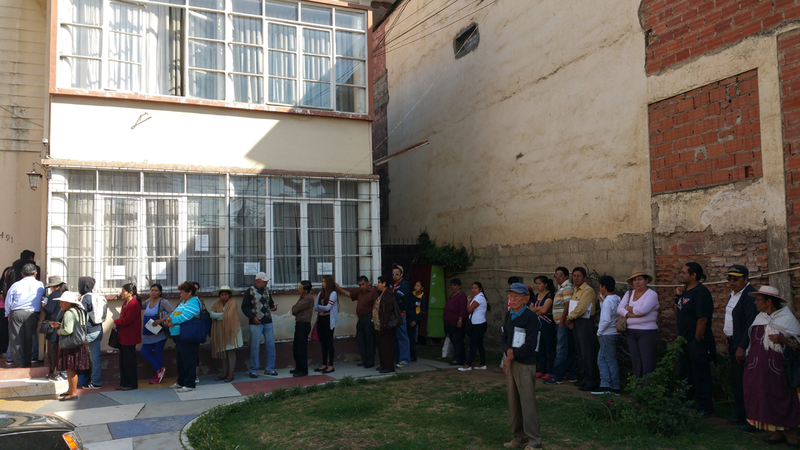 Patients ranged from the routine diabetic retinopathy, which is possibly considered a rampant condition in Bolivia, to age-related macular degeneration, venous occlusions, toxoplasmosis, and cases with ocular trauma. 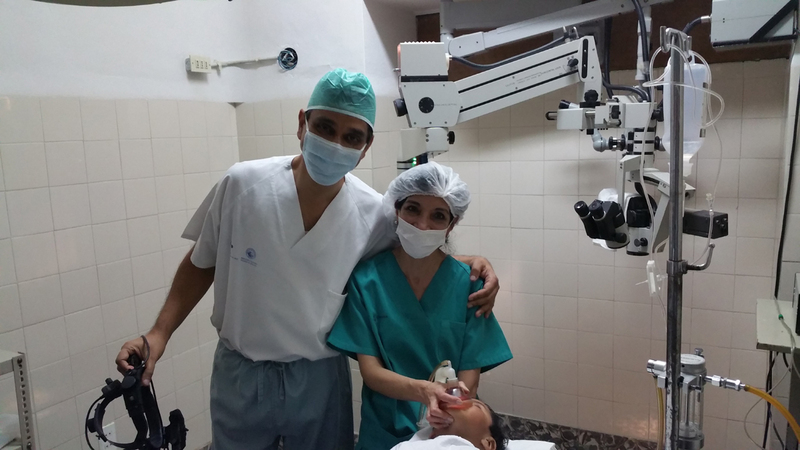 We also has a 2-year old boy with coloboma choroid. 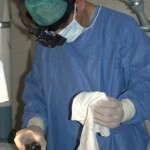 Since he was not cooperative for examination in the clinic, we examined him under sedation in the OR. 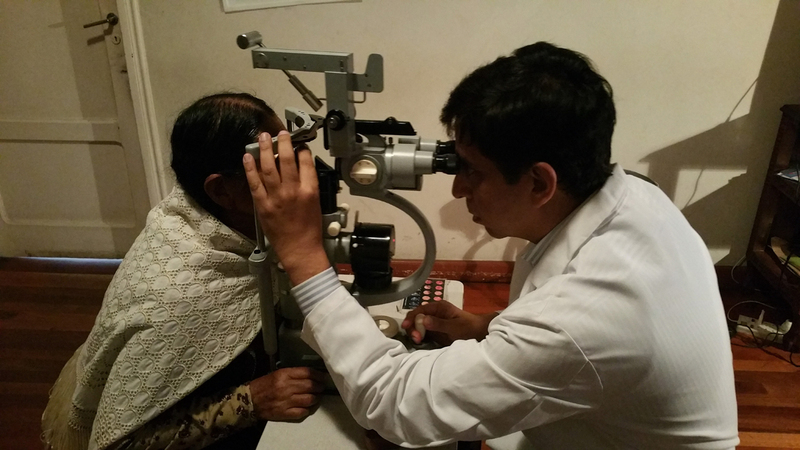 This also gave us an opportunity to complete his eye examination including refraction and intraocular pressure. 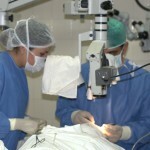 On examination, he was found to have a unilateral choroidal coloboma, with no retinal detachment. 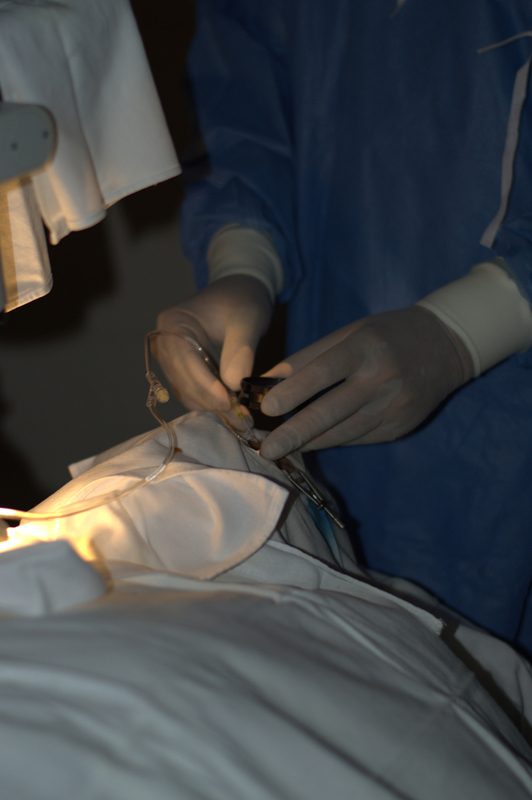 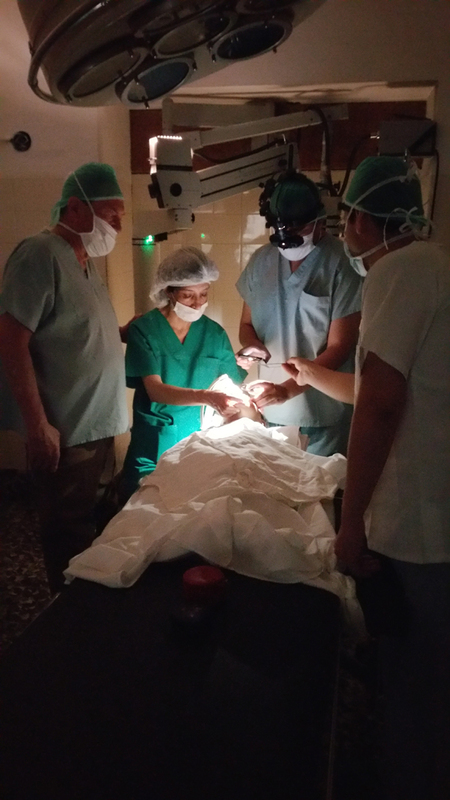 On the second day of our visit, one of the surgeons faced a complication while performing a phacoemulsification, with the nucleus drop into the vitreous cavity. 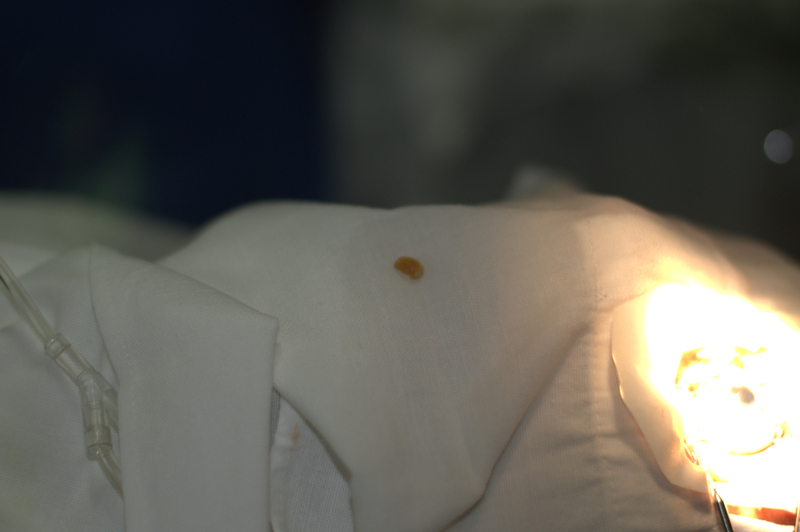 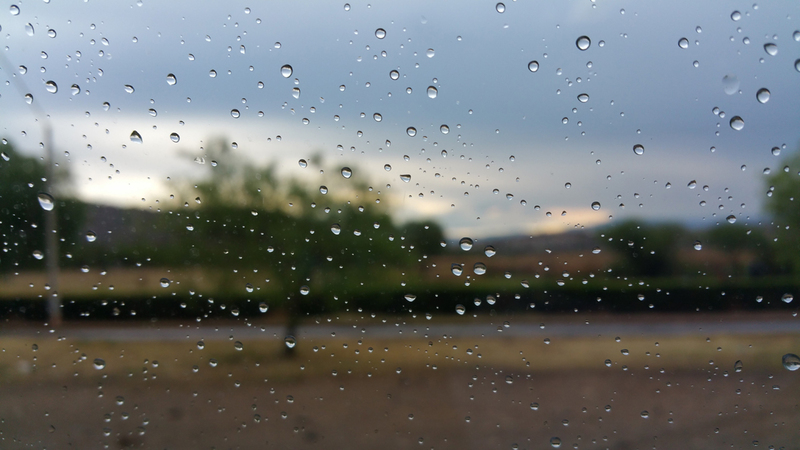 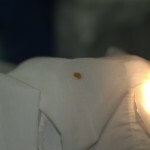 With a significant chunk of the nucleus in the vitreous cavity, it was more than likely that the patient will have severe inflammatory response if nothing was done for the patient. 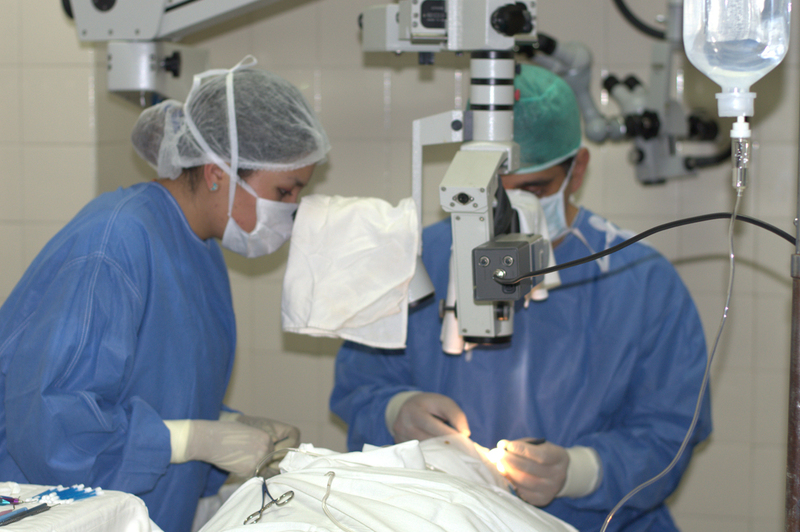 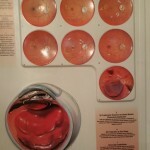 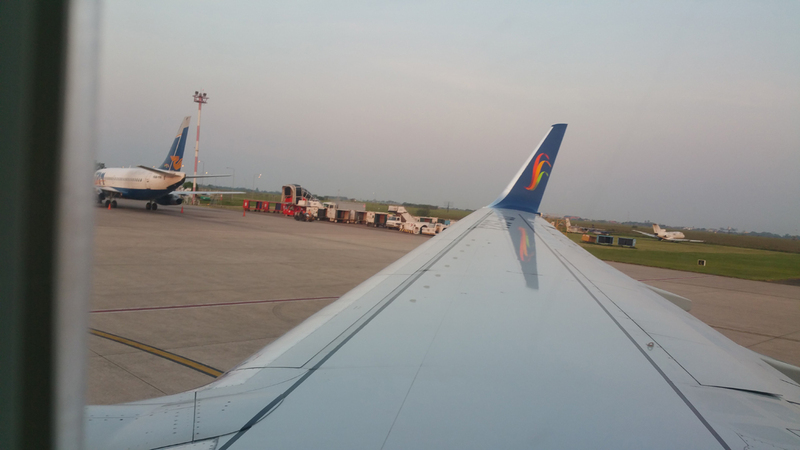 With no availability of posterior vitrectomy equipment, we discussed the various possibilities of managing this patient. 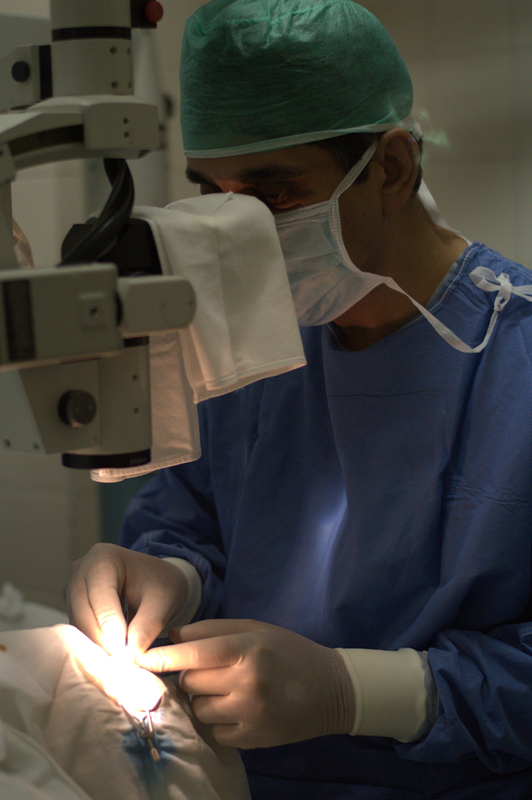 Dr Raj Agrawal scrubbed in for the case to examine the patient and to evaluate what could be done. 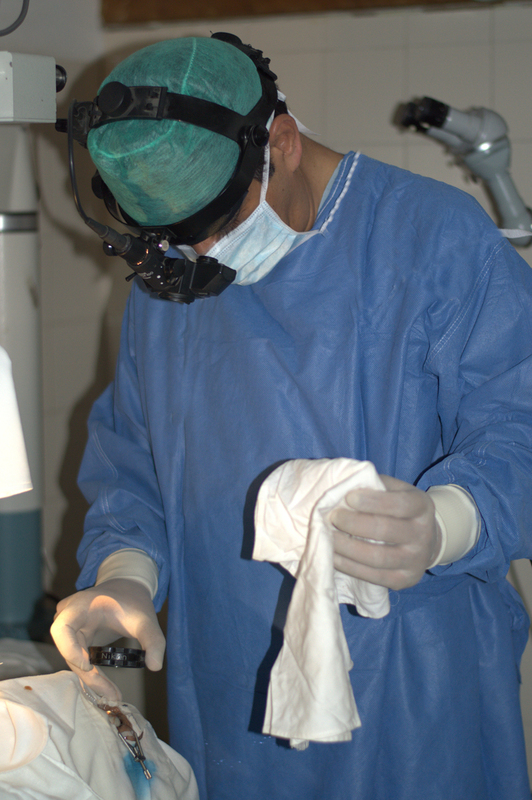 With access only to anterior vitrectomy, and with an indirect ophthalmolscope available for use, Dr Agrawal decided to go ahead and attempt to remove the nucleus from the vitreous cavity, using the old method of single-port vitrectomy under indirect ophthalmoscope visualization. 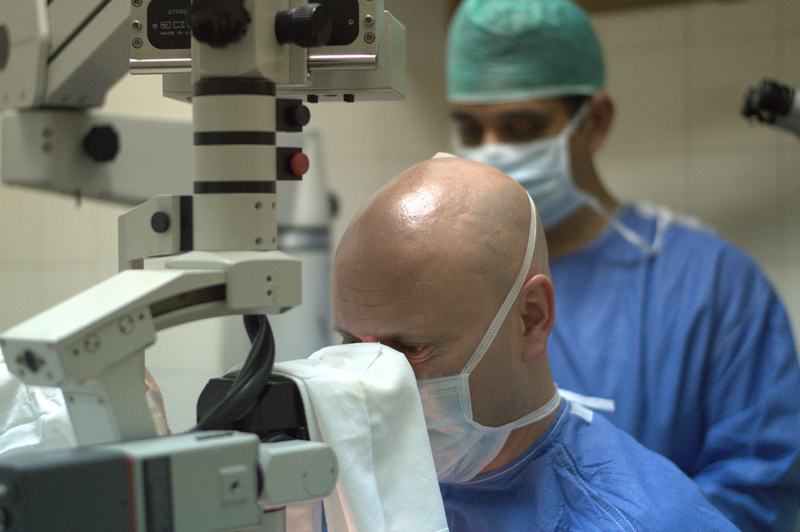 The anterior vitrectomy probe was inserted via a pars plana incision to clean the vitreous in the anterior chamber. 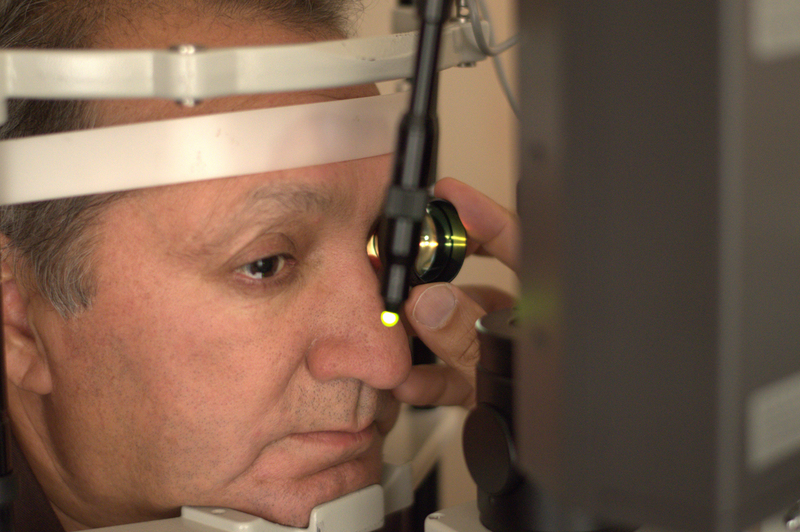 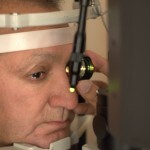 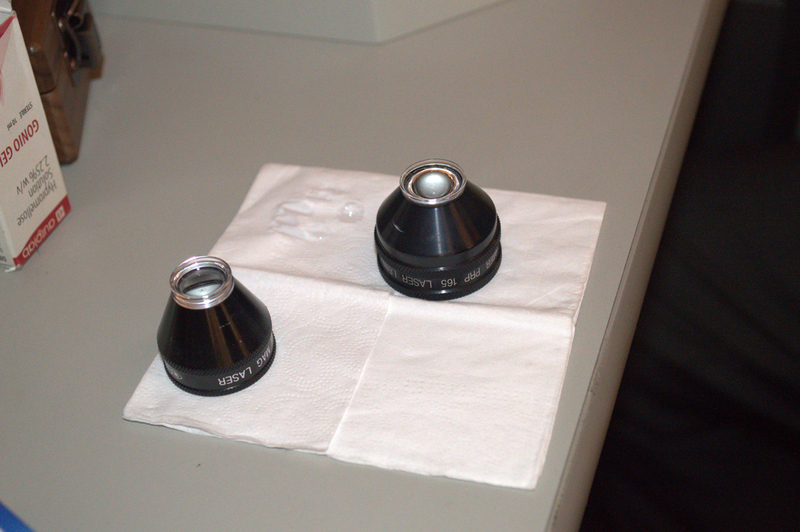 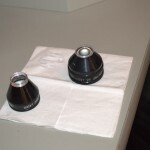 Once the anterior segment was clear of vitreous and cortical material, with indirect ophthalmoscope as a visualization device, the vitrector was used to clean as much of the posterior vitreous as possible, with the cut rate kept at the max of 600 cuts. 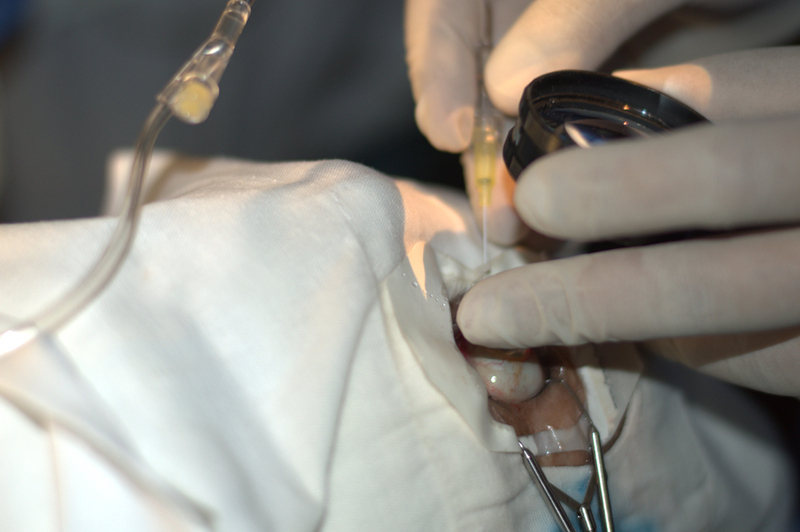 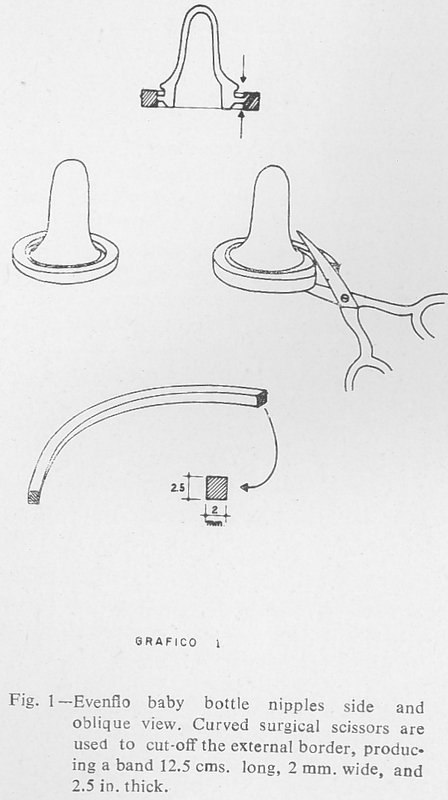 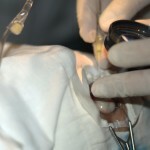 Once the vitreous was cleared (PVD was not induced), a sharp disposable needed with irrigation was introduced into the vitreous cavity via the same pars plana port. 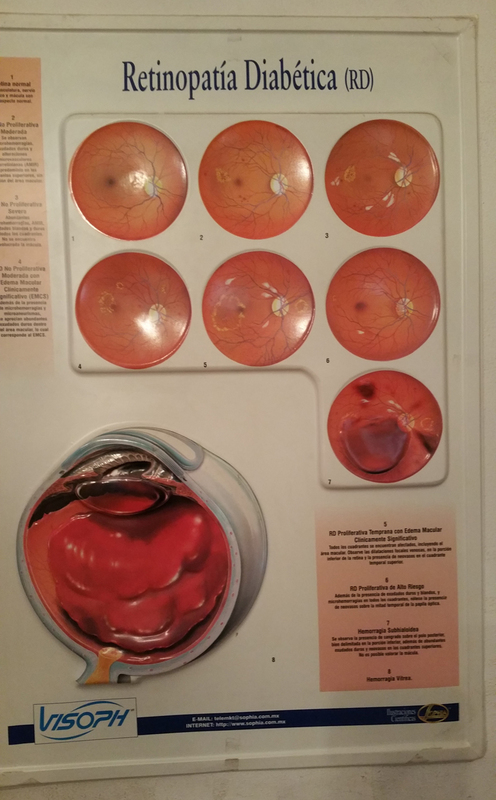 Under indirect ophthalmic visualization, the nucleus was gently speared and then brought up to the anterior segment. 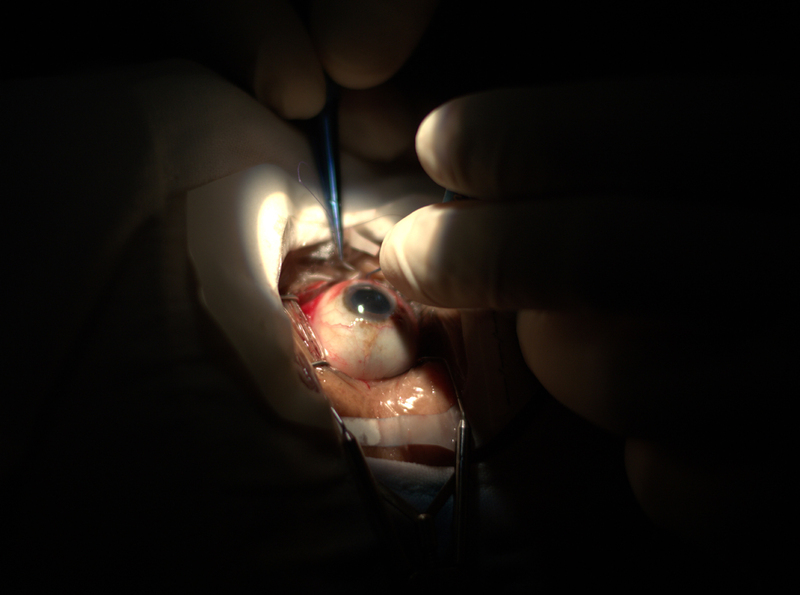 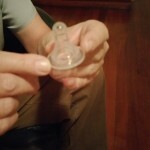 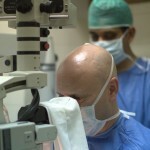 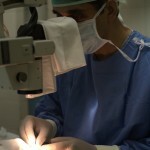 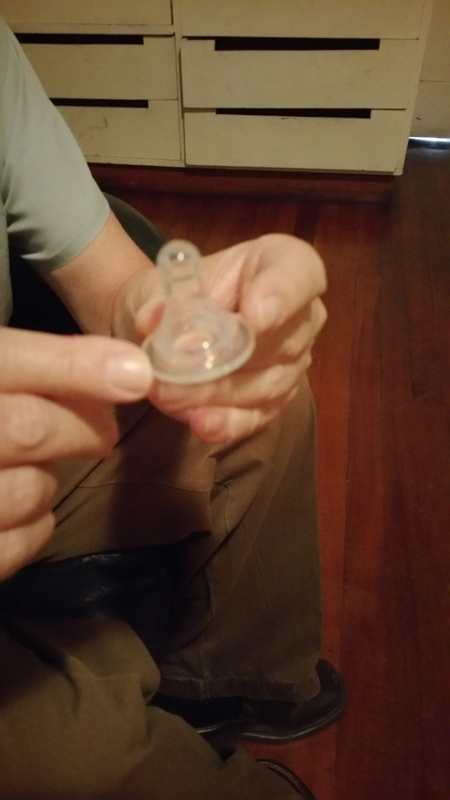 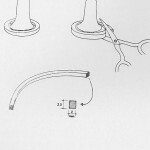 On the third try, the nucleus was successfully removed from the cataract wound with a lens loop. 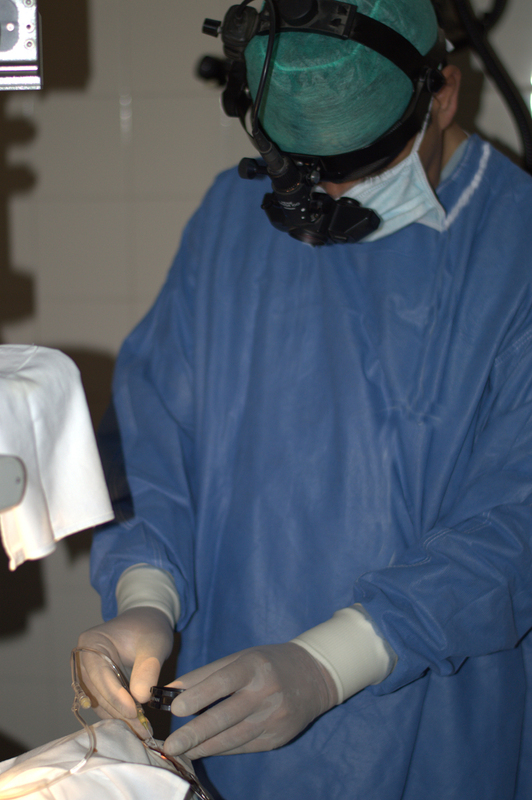 After resuturing the wound, a good indirect ophthalmoscopic examination was performed to rule out any retinal issues. 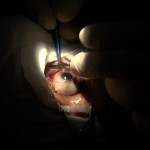 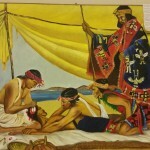 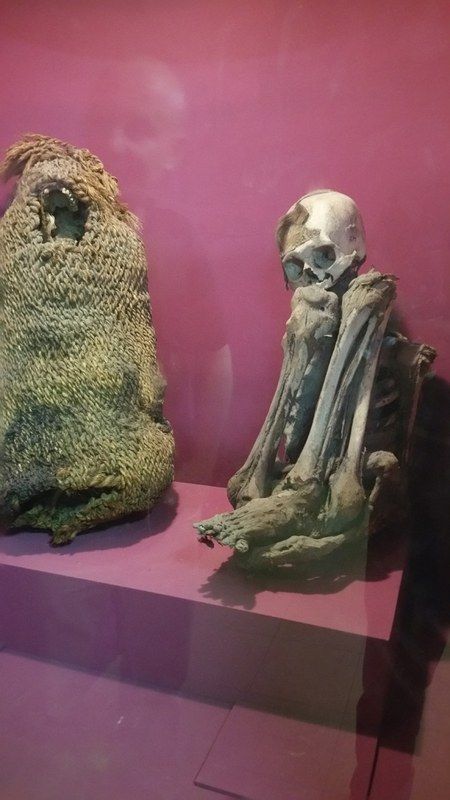 This patient was examined post-op before we left the country, and he looked fine. 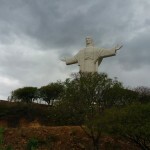 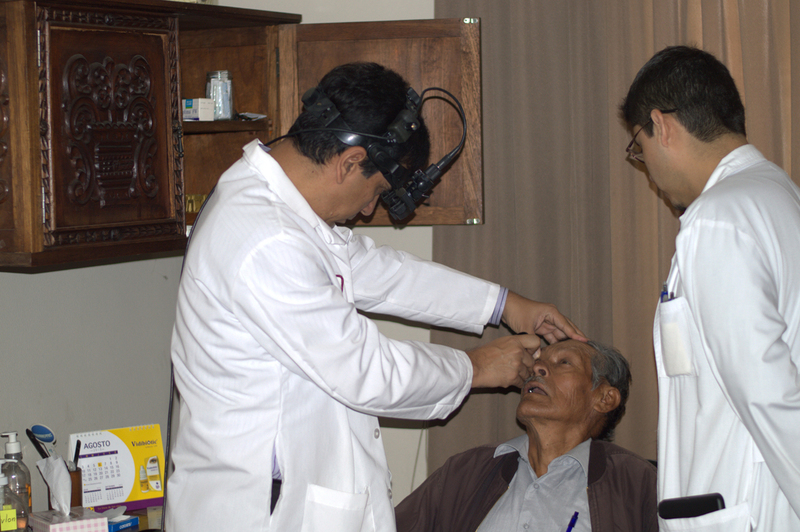 We have received a report from Bolivia that the patient is feeling much better, with the eye recuperating well. 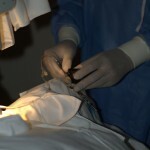 The patient’s vision (he is aphakic at present) is hand movements at this time. 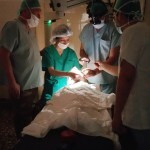 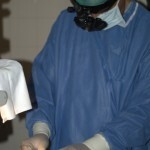 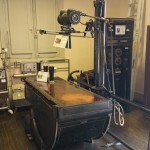 The above incident highlights the fact that on missions such as this, our surgeons face unique challenges that tests their ability to think outside the box and deliver solutions that have a significant impact on the person or people involved. 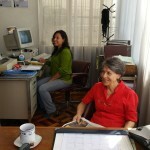 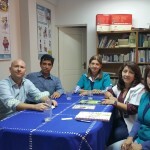 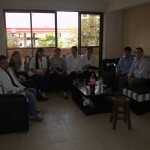 During the trip, we also met with the Dr Elizabeth Duarte and her colleagues at the Centro Vivir con Diabetes. 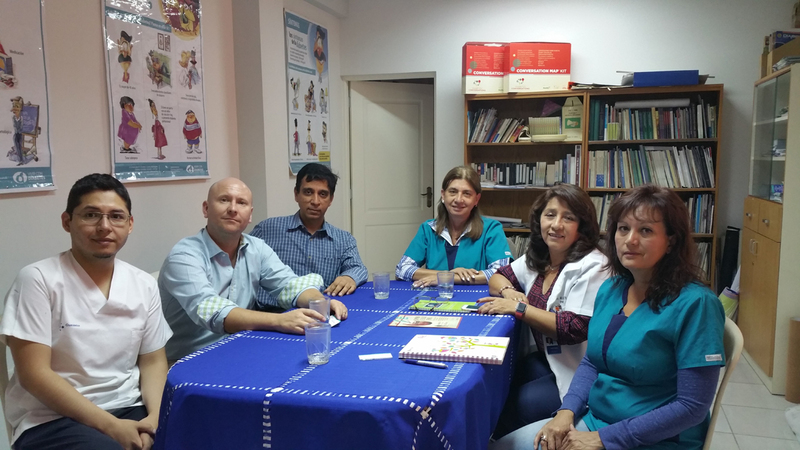 (Pic on the left – Dr Anthony Majda, Dr Rodrigo Cortes and Dr Agrawal with Dr Duarte (second right) and her colleagues) This center has been providing clinical care and support to patients with diabetes. 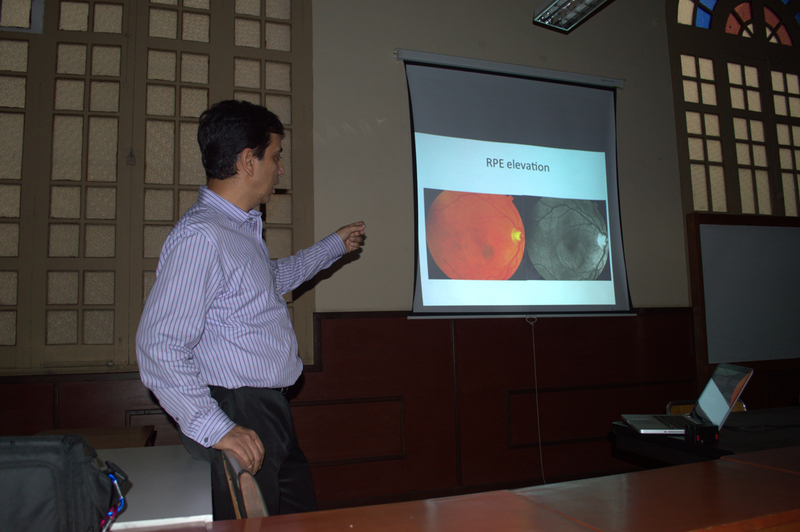 We met to discuss about the prevalence of diabetes in and around the area and the country, as well as the estimates of diabetic retinopathy. 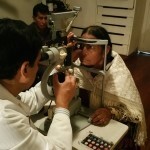 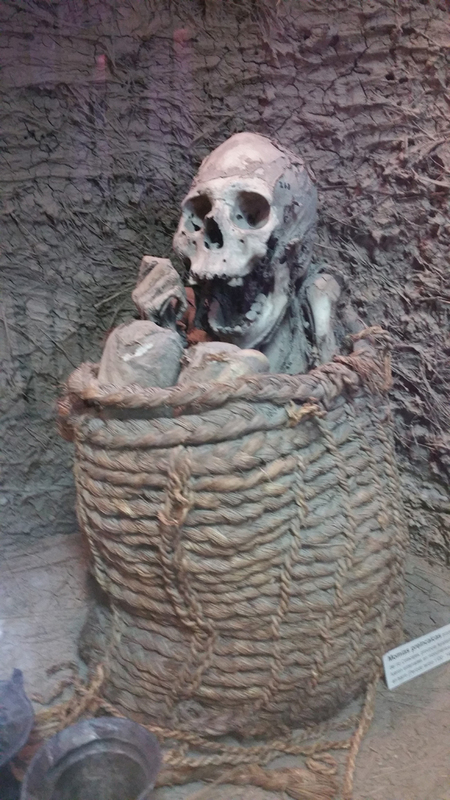 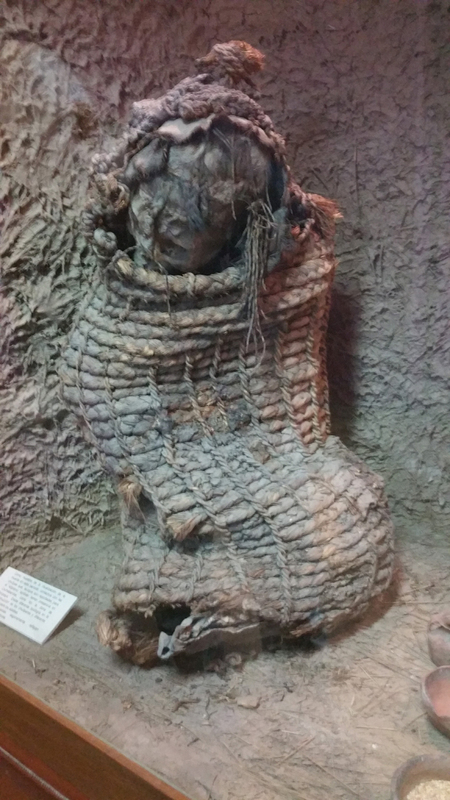 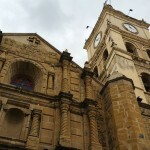 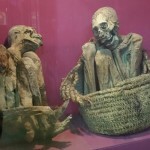 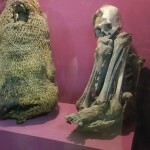 The center was involved in a study to estimate the evidence of diabetes in Bolivia about 15 years back; that study had given estimates of incidence of diabetes around 10%. 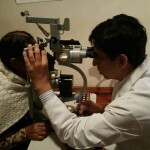 That estimate would have likely increased in the last 15 years, and hence we plan to work them and with the Fundacion for a study to evaluate diabetic retinopathy in the area in the near future. 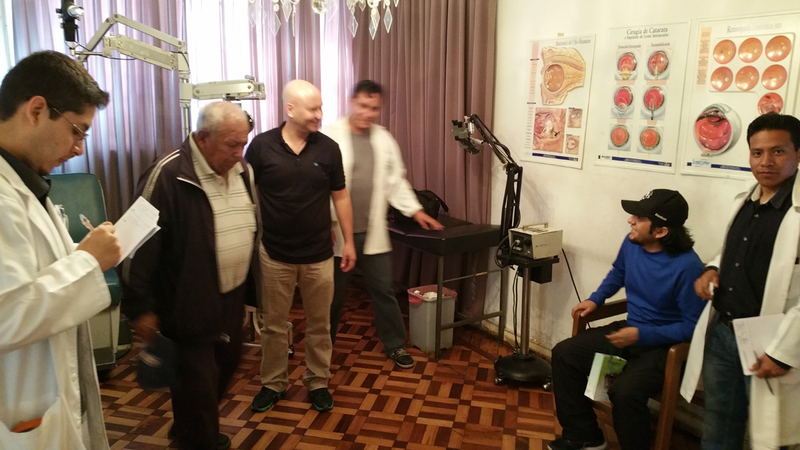 We plan to return to Cochabamba soon, to continue our work of providing retinal care to the patients, as well as train the ophthalmologists in retinal disease management. 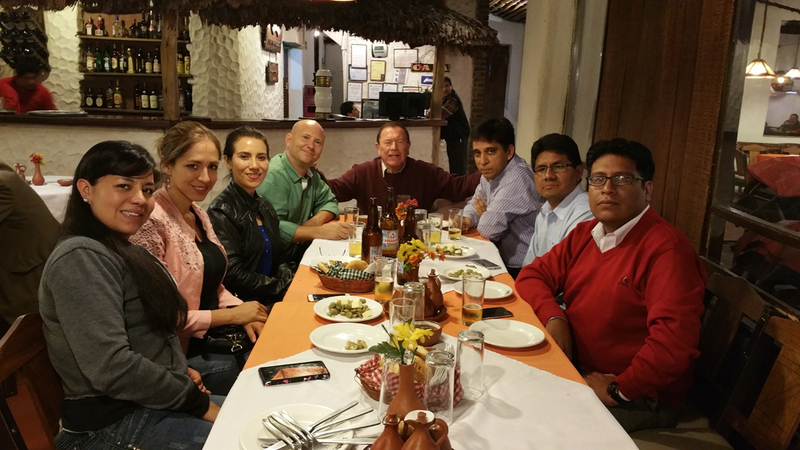 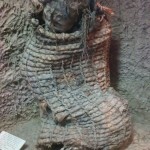 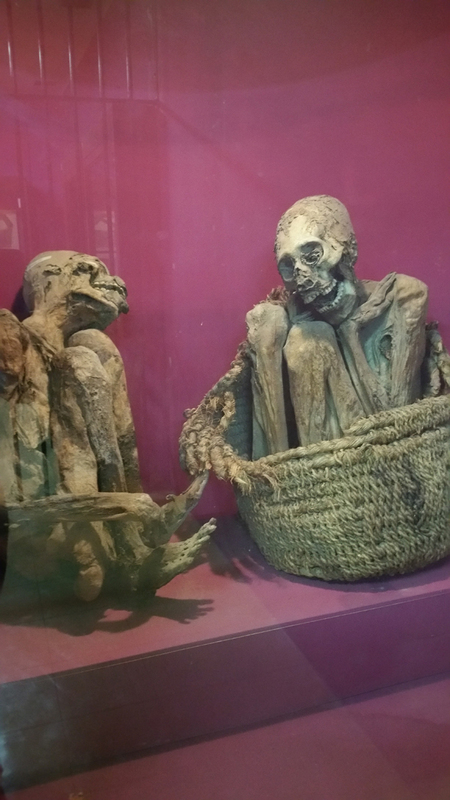 If you wish to join us on future trips, please click here. 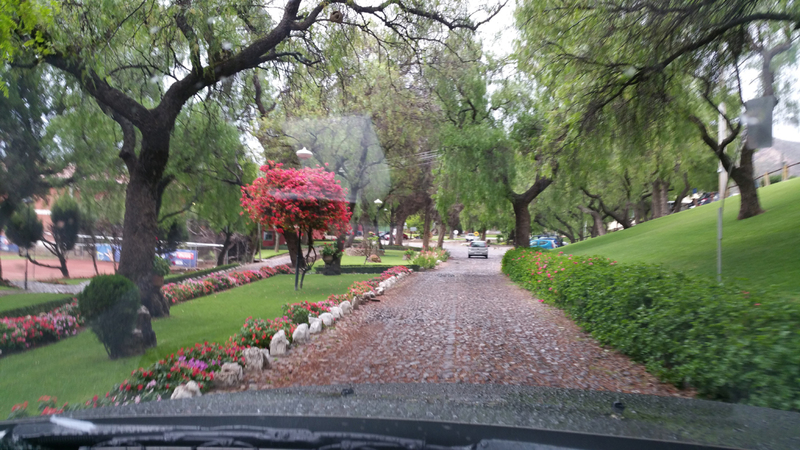 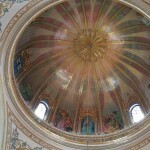 Some more pictures from the trip. 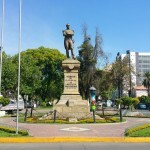 Simon Bolivar, after whom the country is named. 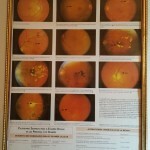 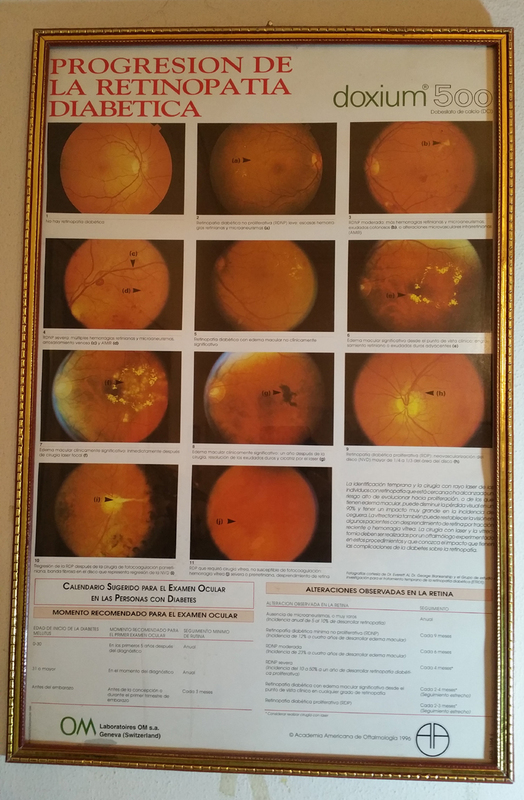 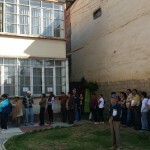 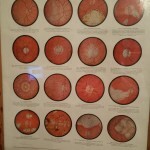 Posted in Age-related Macular Degeneration, Diabetic Retinopathy, Medical Mission, Surgery and tagged Bolivia, Cochabamba, Medical Mission, Outreach.